Rover is man's best friend. Rover Elite in 3V is a mid-sized, hard-work camp knife that does everything from chopping wood to slicing tomatoes, and does it in style. Rover Elites come with shaped handles rather than scalloped ones (like on our tactical version). This is a more complicated build with a classic look. 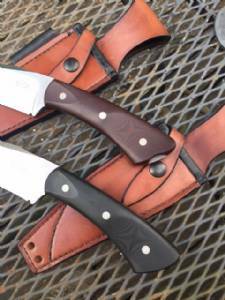 Rover Elites come with a leather bushcraft sheath so you can wear the knife on your hip or strap it to your pack. 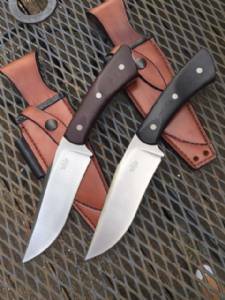 This knife comes with a CPM 3V super steel blade with belt finish and your choice of shaped Micarta handle - Black, Maroon, or OD Green. Flat rate shipping applies in the US only. For international orders, please contact us for shipping rate.